Kalina Borkiewicz served as both moderator and panelist at the International Planetarium Society (IPS) 2016 conference in Warsaw, Poland in a session entitled "Scientific data visualization (accuracy & big data)"
Data visualizations provide an authentic science experience for planetarium viewers to view phenomena that would be otherwise invisible or impossible to visit. They have the potential to tell important stories about the natural world in a manner that can be both technically accurate and stunningly beautiful. However, telling a story through real data straddles a fine line between maintaining scientific integrity and evoking emotions in the audience and as data grow, so do the technical and artistic challenges associated with creating compelling visualizations. This seminar included experts in data visualization who showed some of their work, discussed their techniques, and talked about the wide-ranging value of powerful, data-driven storytelling. 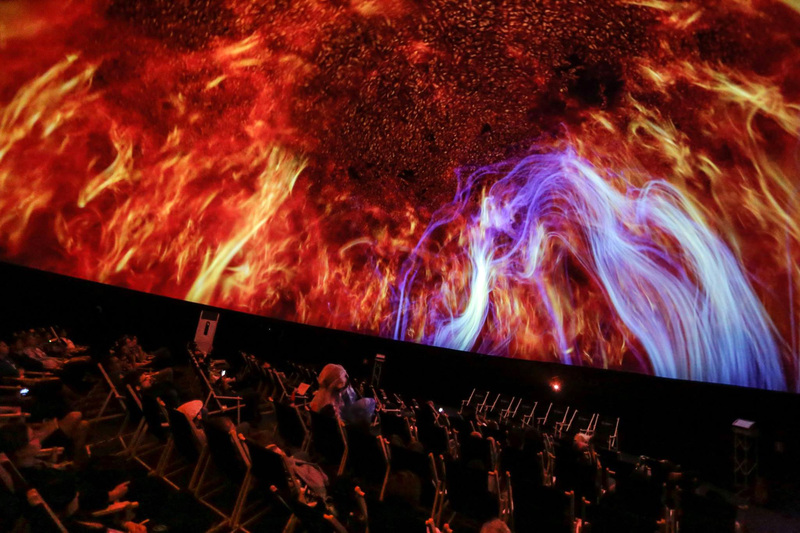 The International Planetarium Society is the global association of planetarium professionals. Its nearly 700 members come from 60 countries around the world. They represent schools, colleges and universities, museums, and public facilities of all sizes including both fixed and portable planetariums.